A major improvement in Cart Viper 1.6 is that we’ve tuned the performance of the application start at the database level and running all the way to the business logic to make your store operate faster. All aspects of the application, browsing the store, searching, viewing the product detail and checkout are now significantly faster. Recent research has suggested that Google takes into account the speed of site when ranking a page, “faster sites create happy users”. 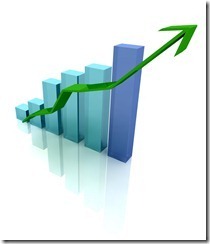 The improves we have made can only help improve your ROI on your store. The net effect is the store runs up to 3x fast than the previous version of Cart Viper. 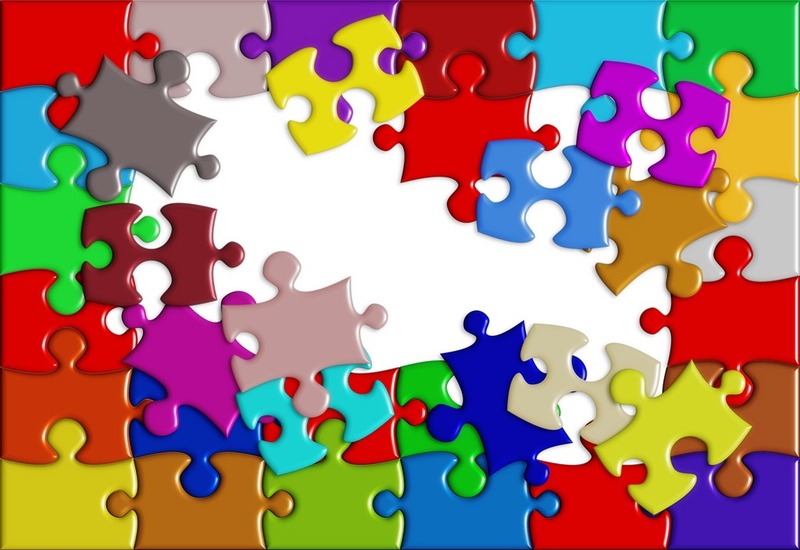 Unlike other DNN vendors we currently offer existing customer the ability to upgrade to the latest version free of charge. So if you are already a customer why don’t consider upgrading to the new version today. If you are new to Cart Viper then take our free no sign up, no hassle 30 days trial. We want to create the best ecommerce module in the DNN arena. 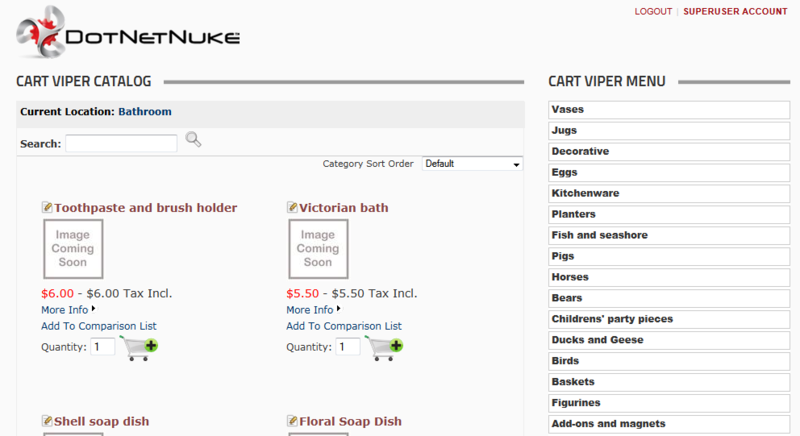 Back in version 1.5.1 of Cart Viper the DNN shopping cart we implemented a new feature that allowed the store admin to upload multiple product images simultaneously. To achieve this we created a Silverlight control, a trade off we had to make when we implemented this feature is that if you are using version 6 of IIS the Silverlight mime type will not be there by default (version 7 onwards has this in by default). This means that the control cannot be rendered to the page and when you go-to the product image upload section you get a blank screen. In order to fix this you need to add the Silverlight mime type to IIS, the following link provides a great example of how to achieve this under the section “Using the IIS Manager User Interface in IIS 6.0 in Windows Server 2003” – note upon completing the steps an IIS restart may be necessary. 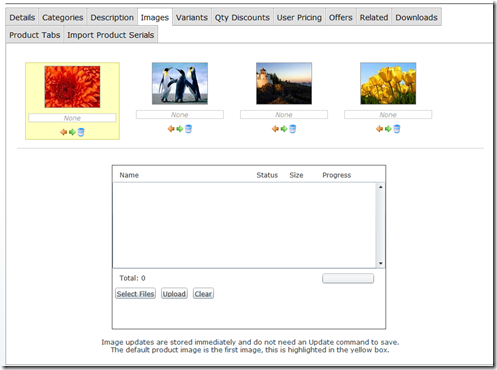 Once you have completed the above the image up-loader control should then be rendered to the page allowing you to upload multiple images simultaneously and making managing your store with Cart Viper even easier! 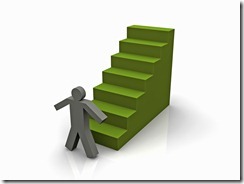 Our aim is to create the best ecommerce solution for the DotNetNuke platform. A simple statement to make but a pretty bold claim, so we constantly listen to your feedback and suggestions which drives our development cycle. Never ready to rest on our laurels we are always working on improving Cart Viper. However no matter what we do to our product without providing great support we won’t be able to achieve our bold claim. Don’t take our word for the high quality of support we offer with Cart Viper take a look at Bill Losey’s review. “Great, great, great, great, and oh yea, did I say great? I have found it to be rare to purchase any DNN module that does what the developer says the module will do. Cart Viper is a rare exception and a pleasant surprise and the support is equally great and surprising. I have either evaluated or purchased no less that four eCommerce modules and every one ended in total disappointment. So if you are ready to see what all the fuss is about, try us out on your next ecommerce product. You might be pleasantly surprised. This blog has been a bit quiet of late but behind the scenes we have been very busy. We are currently working on some new advanced features which we hope to release in the next few months. Stay tuned for more information as we get closer to a release. Everyday we are working on new features and improving existing ones, we are determined to create the best ecommerce solution on the DotNetNuke platform. Take the free 14 day trial now and see what you think. Cart Viper Release 1.5.1 Available Now! 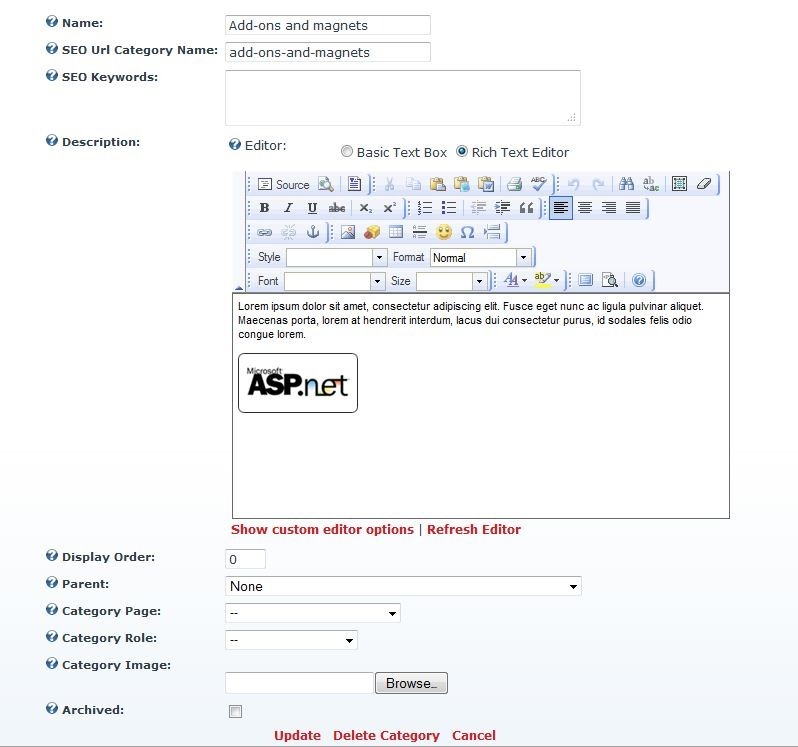 Upload multiple product images simultaneously when editing a product via advanced Silverlight control. Integration into Ogone payment gateway. Integration into Mollie payment gateway. Integration into Buckaroo payment gateway. Integration into Paypal Payflow Pro payment gateway. Support Singapore dollar (SGD) currency. Optionally redirect to a custom page after user has added an item to the cart. 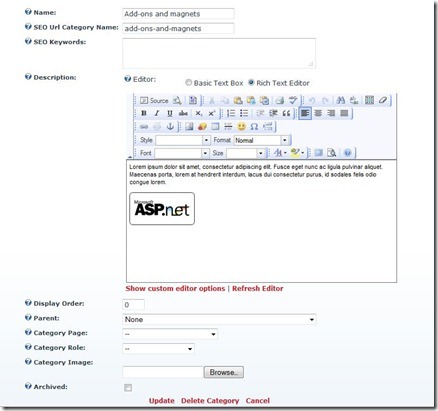 Setting to auto-create a user account on your DNN site if user checks out anonymously. Allow multiple DNN roles be added to a product, each with their own expiration limits. Allow admin to define how long / how many times a user can download a digital download after they have purchased it. 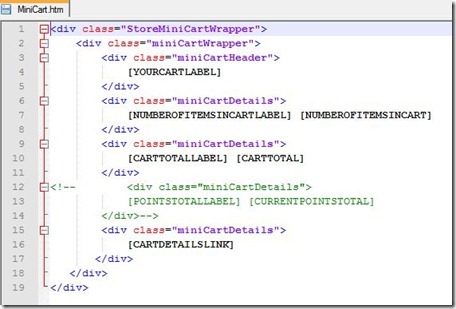 Optionally define minimum subtotal value before user can checkout. If you have any comments or suggestions for future releases please contact us and we would be happy to discuss your requests. In version 1.4.0 we added the ability to include a data sheet for a product, we have now extended our .CSV product import to allow you to import the product data sheet location. Importing the data sheet field is straight forward, you simply add the column “PDFDataSheet” then reference the datasheet relative to the portal root folder. Before the import occurs you should either ensure the PDF is already on the server either by uploading via the “Admin File Manager” or by using FTP to place the PDF on the server then clicking “Synchronize files”. 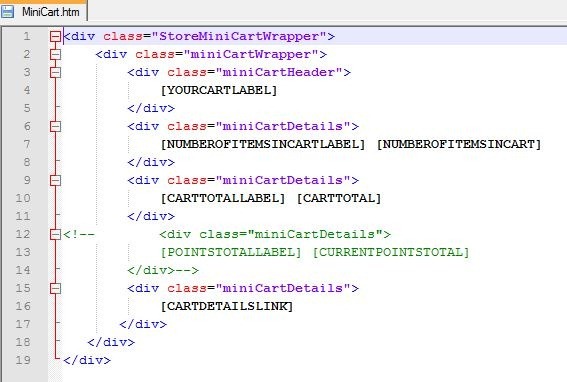 In order to give you more control and flexibility of the look and feel of the Cart Viper mini cart control we have now made this control template based as per the other Cart Viper controls. Each portal can have their own customized different mini cart. These features were made based on client feedback if you have any suggestions please contact us. 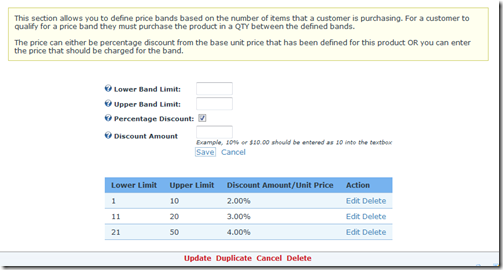 A further new feature in release 1.4.1 of Cart Viper the advanced DotNetNuke shopping cart is the ability to define quantity discount bands. 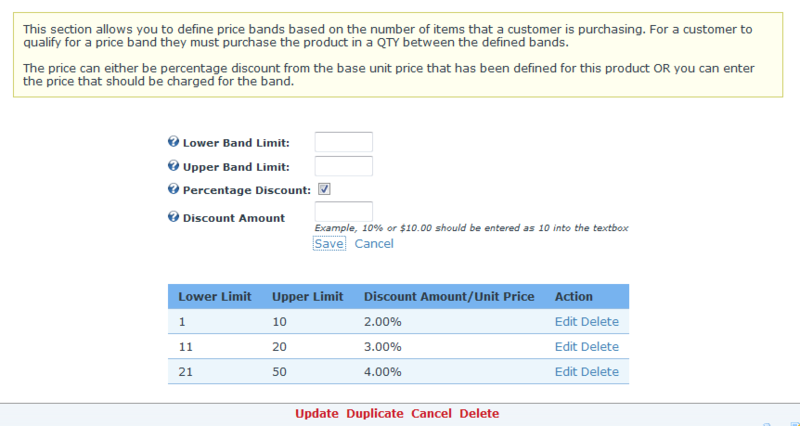 This means you can specify discounts based on the quantity of a product that a user purchases. Purchase 1 –10 of this product and receive a 2% discount per product off the product base price. Purchase 11 –20 of this product and receive a 3% discount per product off the product base price. Purchase 21 – 50 of this product and receive a 4% discount per product off the product base price. In our example we have chosen to offer a percentage discount, however it is also possible to enter a unit price that the customer should be charged by unselecting “percentage discount”. 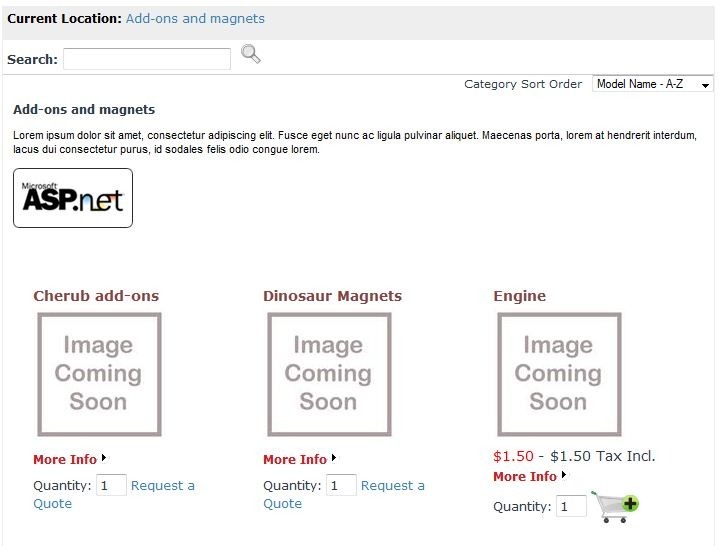 One of the more advanced features added to release 1.4.1 of Cart Viper the DNN shopping cart is the ability to define a different image for each product variant, then when the user selects that variant combination that image is then automatically displayed as the main product image. 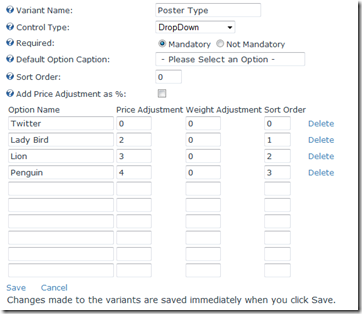 Step 1: Create your product as normal in the store admin, in this example we are going to create a poster so when the user selects the different poster type the appropriate image is then displayed to them. 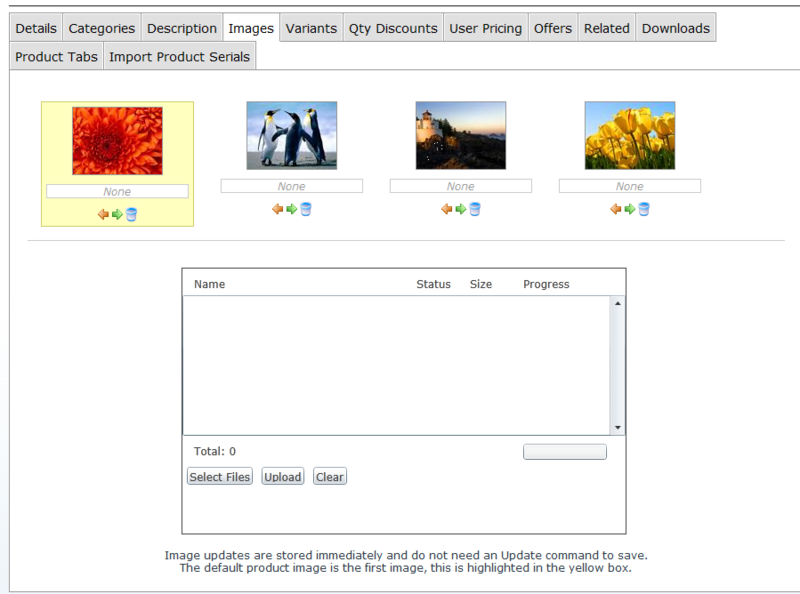 Note you can still define the main product image (highlighted in yellow) – this will be the default image and will be displayed on the product catalogue, initially on the product details page and also if you do not specify a variant image. 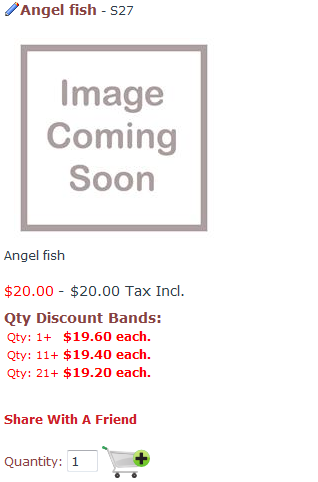 As explained earlier it is not necessary to assign each variant combination an image as the default product image will be displayed in that event. It is now possible to view the results, the following link shows our example, note when the user changes the variant the image and the price update to reflect the options that the user is currently looking at. 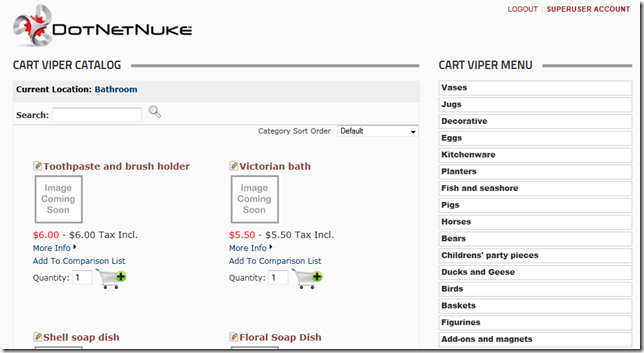 Its always great to see how our customers use Cart Viper to create their stores. Sam Harry has recently replaced an existing store built with AspDotNetStoreFront with our ecommerce solution. 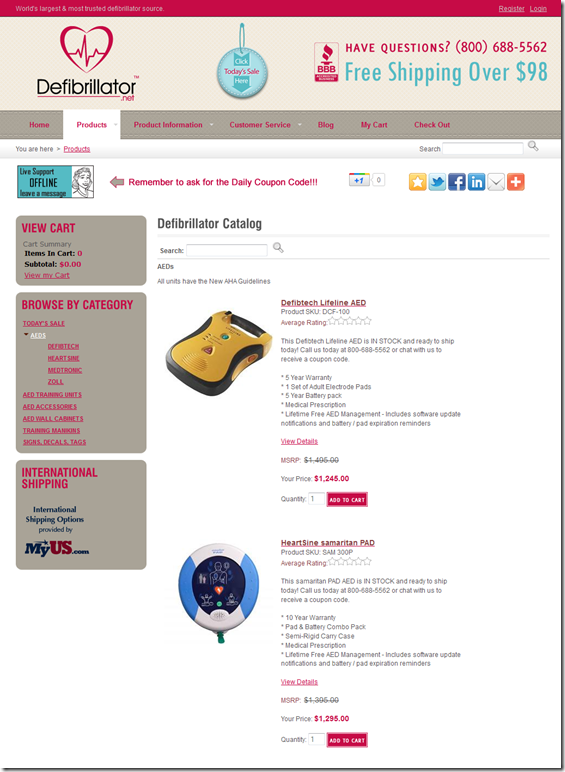 Sam’s online store selling defibrillators shows just what you can do with our $150 product. DotNetNuke and Cart Viper make a cost effective ecommerce solution which will give your business a great ROI, together you get a great CMS and great ecommerce solution all for a fraction of the cost of AspDotNetStoreFront. We have a free trial so you can see for yourself why Cart Viper can give you an advantage when it comes to selling online. 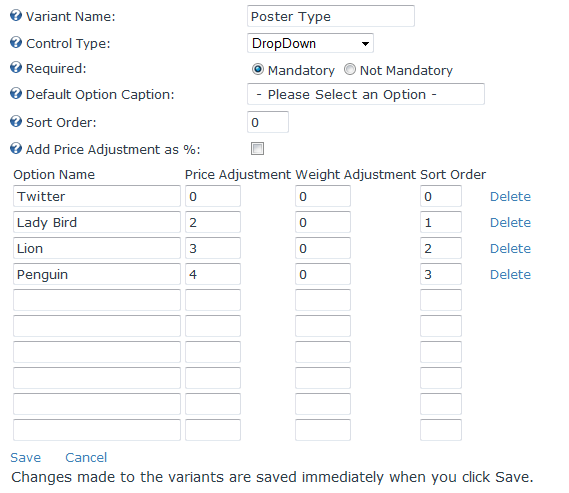 In the new version of Cart Viper 1.4.1 we have now added the ability to define the sort order of products within a category. 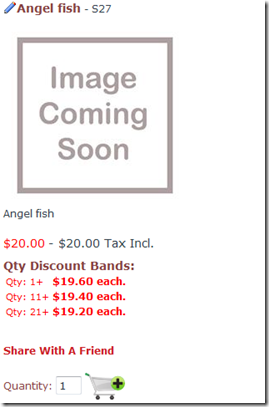 This allows the store owner to display their most important products above the fold of the page. 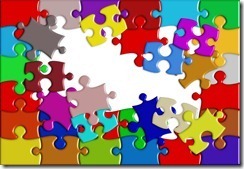 The existing method of sorting the product by model name, number etc are still supported. 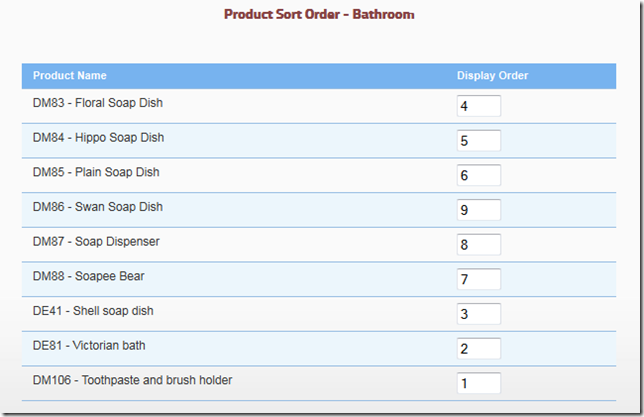 The first step is to set the Catalog Module to use Custom Sort Order as the sorting method. 1. Open the settings page for the module and expand the Category Product Settings section. 2. 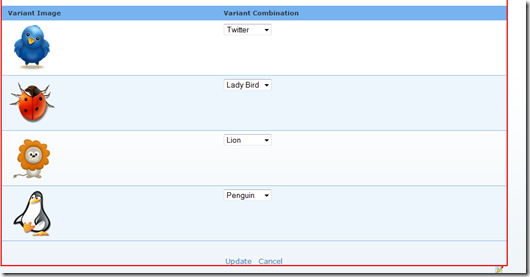 Select Custom Sort Order for the Sort By setting. 3. Once we have defined that setting its just a case of sorting the products in the categories. On the Store Admin > List Categories page the Action menu has an option Sort Product. 4. On the Sort Product page enter a number beside each product. When displaying the category, products with a lower number appear first. 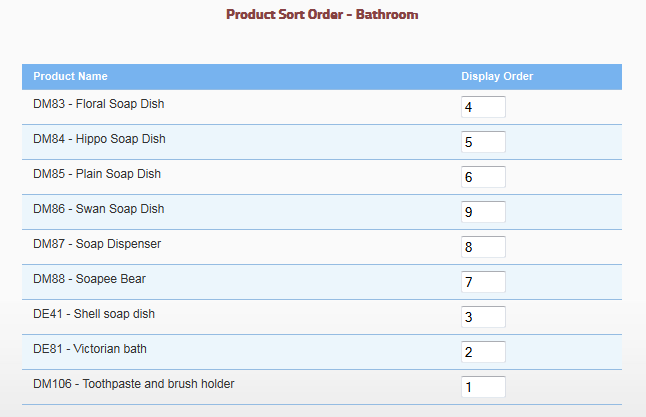 Here is what the Bathroom category looks like in the store front once we save the product ordering. 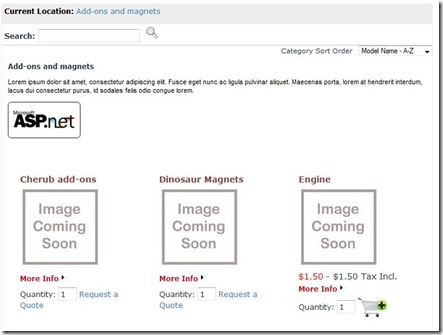 Thinking of turning your DotNetNuke portal into an online store? 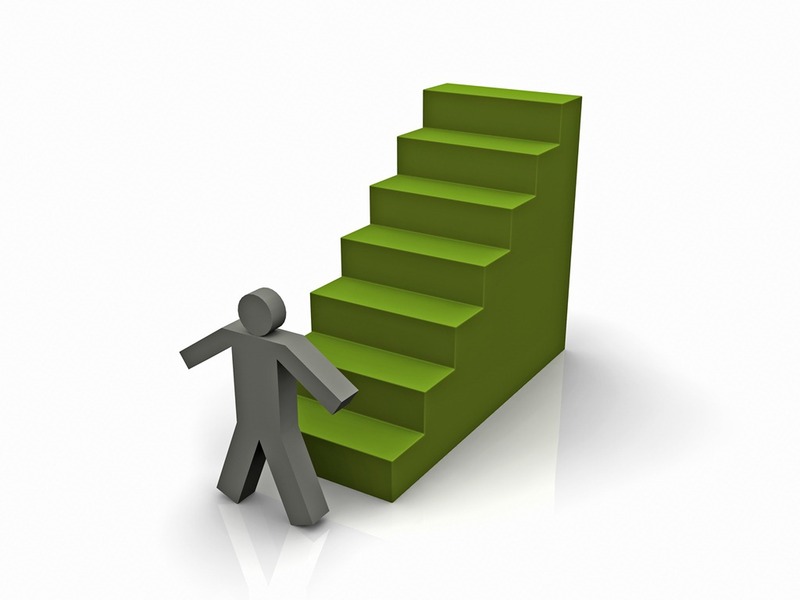 Try Cart Viper and see how easy it is to start selling today. Take the 14 day free trial.